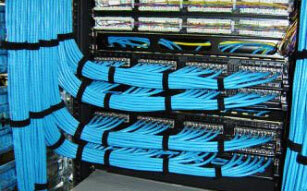 Cabling is something that many businesses handle almost as an afterthought in their projects. Their reasoning is that cabling is cabling is cabling, and the least expensive vendor is the way to go. While our prices are very competitive, we believe strongly that the company you use to provide and install your cabling can be a critical choice when it comes to the headaches and extra expense you will incur down the road. Did you know that a significant percentage of phone and networking problems end up being a cabling issue? What cabling category will you be installing? For traditional digital phones, Category 3 cabling is fine. For IP phones and data networking, Category 5e or Category 6 should be used. Some companies will use Category 5 instead of 5e to save money, but Category 5 is not generally considered a good choice for the speed of today's networks. Category 6 cabling will support the highest transmission speeds but costs a little more than Category 5e. Stranded or solid core wiring? Telco Ltd. uses solid core due to its superior performance. Many others use stranded, primarily for cost reasons. PVC or Plenum? When PVC cable burns, it emits a poisonous smoke and can be deadly, so by law it cannot be used in certain areas in a commercial building. Plenum-rated cable (the type used by Telco Ltd.) has special insulation that makes it more resistant to heat and flame and is much less toxic if it does burn. Using PVC cable is primarily a cost consideration for most companies installing cable; Telco Ltd. chooses to be more stringent when it comes to safety. There are many aspects of cable installation that are not necessarily noticable that are important when it comes to performance. As experienced installers, our technicians are careful to avoid issues caused by crimping or stapling cables; bundling cables too tightly; running cables too closely to sources of electromagnetic interference; stripping too much jacket from the ends of cables (which can actually make a big performance difference); and many other things that other, inexperienced cablers miss. Telco Ltd. carefully tests connectivity on all cable runs; customers can also opt for cable certification, which is a higher-tech method of testing cables for a number of technical parameters such as near end crosstalk (NEXT), attenuation, equal level far end crosstalk (ELFEXT), return loss, and more. 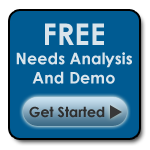 With cable certification, you receive a detailed report on each cable, including illustrative charts, as well as a summary pass/fail report on all cables. With decades of experience, we will get your voice & data cabling job done expertly and professionally.